Amazing experience. Most of all the the great attitude of the staff and management. Especially I would like to thank Victoria and Lily who made my stay so great. Always like feeling “home sweet home” specially the Peace Hotel in Shanghai. We always stay there when in Shanghai. We loved our stay at the Fairmont Peace Hotel. From the minute we arrived, we felt welcomed by staff. They went out of their way to make us feel comfortable. The hotel is beautiful, and was one of the highlights of our trip to China. We would definitely recommend staying at Fairmont Peace to anyone who is staying in Shanghai. A fantastic hotel, spectacular services and just great people located in the perfect location in Shanghai. It felt like honeymoon all over again. It was a sightseeing tour at first and we ended up spending more time in the room and the swimming pool as well as the jazz bar, and the breakfast room. We enjoyed our breakfast. The staff (Moon, and Alan) at the Victor Restaurant provided their services above and beyond their duties. We were thrilled with our stay. We felt the staff couldn’t do enough for us. We felt very well taken care of. Viktoria was especially helpful in making our visit to the hotel and Shanghai extremely pleasant. 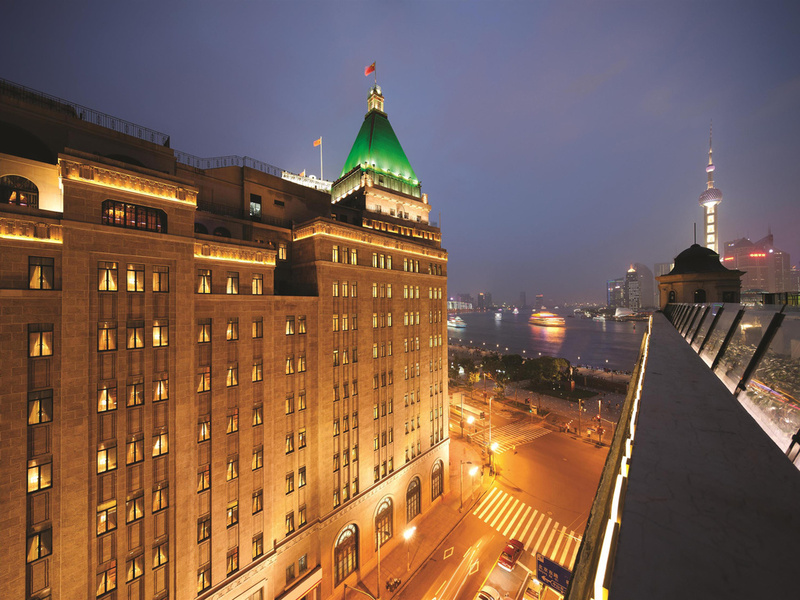 The Fairmont Peace Hotel is in a superb location to enjoy the sights of central Shanghai. The decoration and style of the hotel is warm and classic. The western breakfast options, while not absolutely extensive, were pretty good by Chinese hotel standards. I would definitely stay at Fairmont Peace Hotel for my next visit to Shanghai. Congratulation, every staff in your hotel are well trained on high standard service skills and manner. A suggestion, as a key resource of suite rooms, the view of the Bund need a more clean window, and this will only cost you 5 RMB to achieve it. Personal attention from staff so nice and made us feel welcome and safe. Our room was very very good. Lily helped us greatly with our tourist needs and just general tips. Fabulous from the very first greeting until the final farewell. The staff, accommodation and food all excellent. We have stayed in the hotel for 2 nights, the junior suite is absolutely amazing. The staff have all shown a welcoming attitude and are really helpful. The hotel's decor is top notched and with it's long history, it definitely show it's value. Excellent service. All staff bent over backwards to be helpful. Concierge was most helpful with restaurant and sightseeing suggestions. Attention to detail is everything. Couple that with beautiful accommodation and a jazz bar that takes you back to yesteryear, and you have a combination that is without peer.